Eating citrus fruits is great and all, but it can be a hassle because of the seeds and the infamous white stuff called pith. Since citrus is known for its sweet-tart juice, why not focus on its extraction through a high-quality juicer? Stay with us as we give you the best citrus juicer in today’s market based on careful research and product testing. Bellemain Top Rated Premium Quality Stainless Steel Lemon Squeezer is an extraordinary manual juicer. 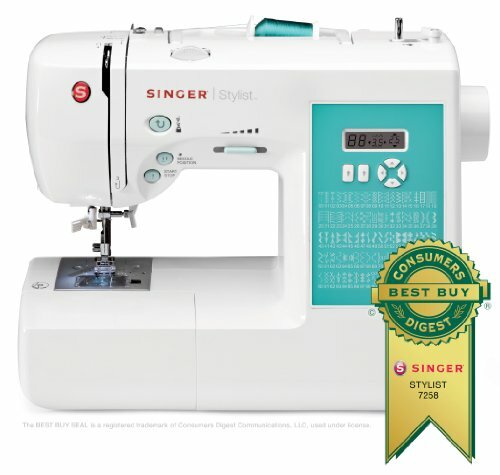 Its tough levers, thick casting, reinforced hinges, and silicone handles make continuous squeezing of citruses extremely easy without straining your hands. These features effectively enhance and sustain your grip. This citrus juicer is made of 18/10 stainless steel for intense durability and resistance to rust. It is also dishwasher-safe for easier cleaning. 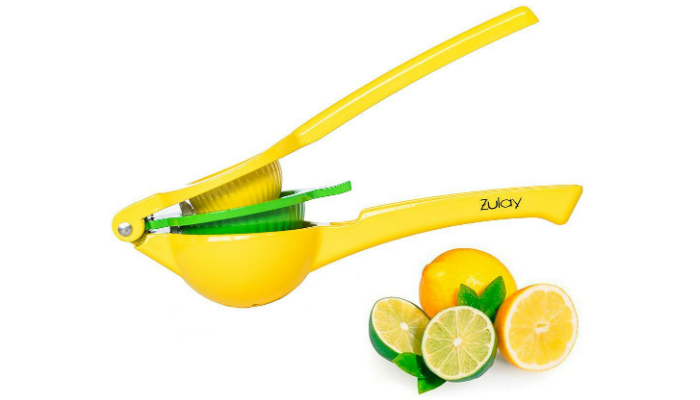 Zulay Kitchen Top Rated Premium Quality Metal Manual Citrus Press Juicer aims to provide more juice from the fruit. It ensures that no seeds will get into the juice. It is perfect for limes, lemons, and limequats of different sizes. Compared to all electronic or automatic citrus juicers, this one is super-easy to store when not in use. It obviously does not need batteries and electricity. It is made of tough, toxic-free aluminum and coating. Since it is easy to store and clean, this product is handy for sudden finishing touches in cocktails and some dishes. 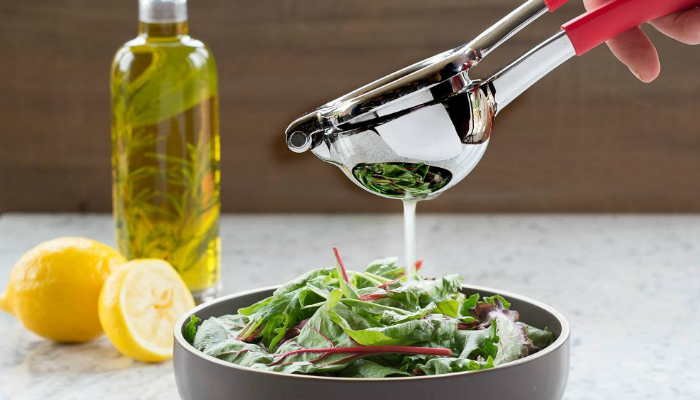 It is an ideal gift for health-conscious home cooks. For specific examples of dishes that can be enhanced by citrus juice, check out recipes for making the best burger patties, unique fried rice variations, fruity pheasant brine, and basic guacamole. 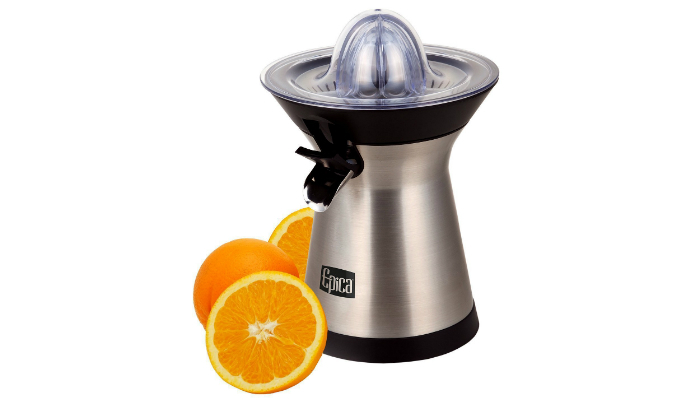 Epica Powerful 70 Watt Motor Stainless Steel Whisper-Quiet Citrus Juicer extracts fresh juice quickly, making it an ideal kitchen item for busy people. It is much easier to use since it is automatic. Its one and only button is already enough for starting and stopping the process. This citrus juicer is perfect for completing several margaritas with limes in just a few minutes. It can even handle big grapefruits. It does not clog because of its strainer, which is composed of fine mesh material. Despite being an appliance, it is still easy to clean, thanks to its three components that you can disassemble and rinse in seconds. 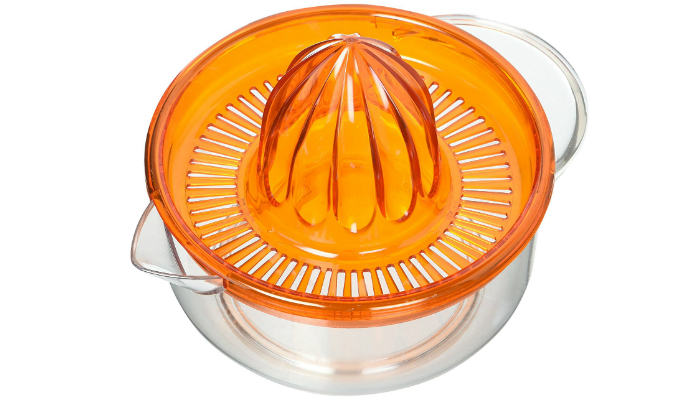 Chef’n FreshForce Citrus Juicer can last a lifetime because of its high-quality stainless steel and nylon materials. It is guaranteed to be top-rack dishwasher-safe. 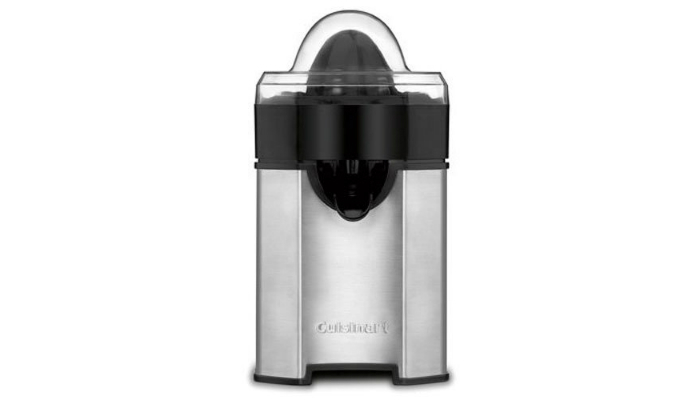 Cuisinart Pulp Control Citrus Juicer has a reamer that is adjustable and has three settings for pulp control: low, medium, and high. 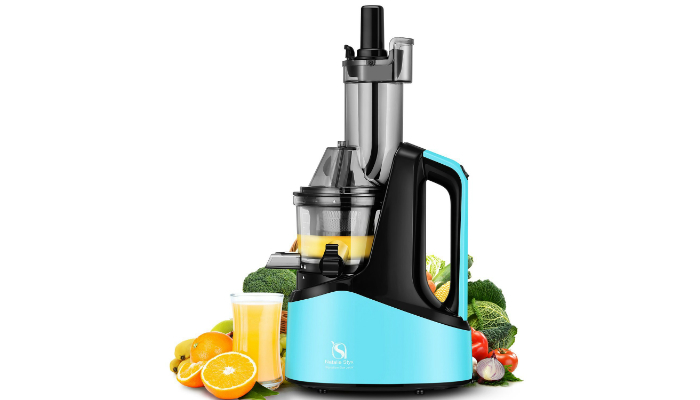 It is a universal juicer that has automatic reversing and Final-Spin features for fast yet effective extraction. 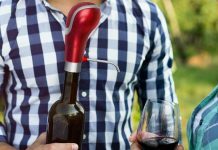 Its Snap-Up spout is longer than most automatic juicers to prevent drips and accommodate more glasses. 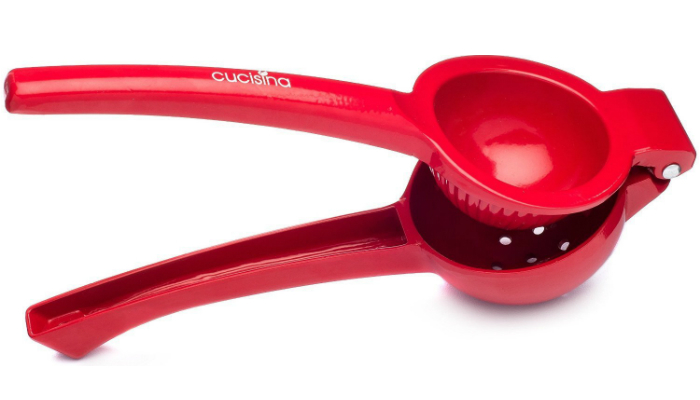 Cucisina Commercial Grade Aluminum Citrus Juicer makes sure that 100% of the juice and 0% of the pulp comes out. It keeps your hands safe from irritation due to direct contact with the fresh citrus juice. Its extra-strong cast aluminum material will never break. Before gaining more knowledge relevant to choosing the best citrus juicer, there are many people who are actually confused about the difference between citrus juicers and juice extractors. First, let’s talk about juice extractors. These appliances are not exclusive to citrus alone. They can extract a wide range of fruits. Why? Juice extractors are usually large since they have a wide disk that cuts vegetables and fruits into tiny pieces. Further along the process, the pieces spin, even more, to separate the pulp from the juice. The result is juice flowing out of the strainer to get into the container. Unfortunately, one disadvantage is longer preparation since you still have to peel some fruits first. Another is more difficult cleaning because of the complex components of most juice extractors. Compared to citrus juicers, the only bump you have to face during preparation is to cut the fruit into two. 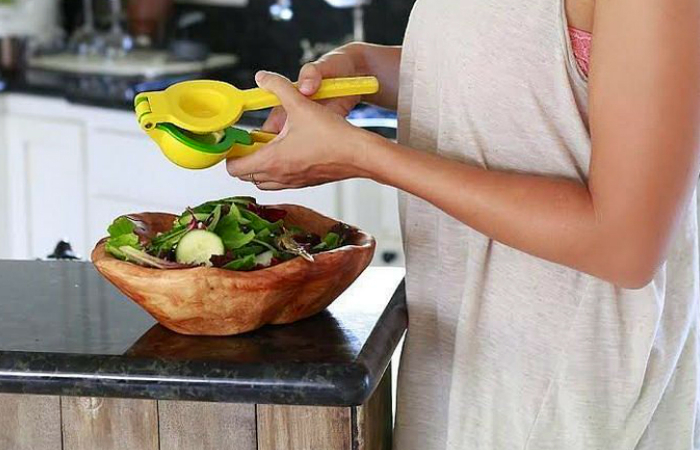 When it comes to cleaning, citrus juicers are hassle-free. Basically, they only have one to three parts without the annoying nooks and crannies. As a bonus option, there are blenders that are surprisingly good at extracting juice. The best part is that they can a multitude of tasks. If you like multipurpose kitchen appliances, then you might like juicing blenders. 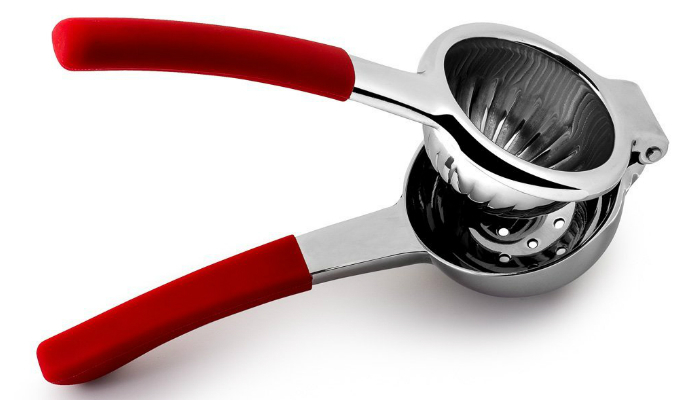 There are three major types of citrus juicers: squeezers, manual, and electric. 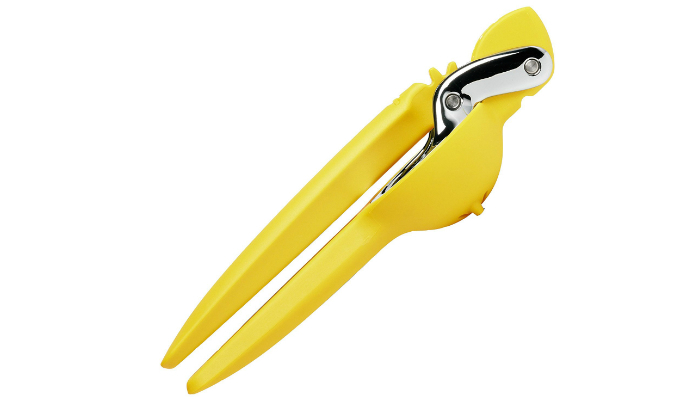 Citrus squeezers are usually meant for limes and lemons only. They appear like a couple of spoons, one on top of the other. You just have to take one half of the fruit, place it in the middle of two spoon-like components, and squeeze. The pulp and seeds are automatically separated from the juice. Next, we have the manual citrus juicer. Instead of two “spoons,” it has a reamer. Just place one half of the fruit over the reamer and turn it until you are satisfied with the amount of juice. If you have weak hands, you can benefit from this since it does not need squeezing. The downside is slower extraction. Lastly, the electric citrus juicer has a lot of models to choose from. One reason is the variety of features. However, the choices in the market still have a lot in common. Electric citrus juicers usually have a reamer just like on manual types. However, their reamer automatically spins in both directions after you press the button once. The disadvantage of using this appliance is bittersweet tart juice because of the peel’s bitter oil scraped by the powerful reamer. Two features are considered here when it comes to size: the unit and the container. The unit size is only applicable to electric citrus juicers since squeezers and other manual types are guaranteed to be smaller than appliances. Now, in choosing the best citrus juicer that is conveniently automatic, consider the space inside your kitchen. Are the tables, counters and other surfaces crowded already? How about the cupboards and other storage areas? For small kitchens, never resort to big commercial juicers. Another size factor is the container. Of course, it should be ideal enough for your usual juice intake. Additionally, it must be transparent so you can monitor the current amount of juice. Better yet, it should have measurement markings. You may choose the best citrus juicer based on how good it handles the pulp during extraction. You may have complete control over the pulp’s amount in your juice as long as you have the right product. If you do not like pulp, prioritize looking for pulp-free juicers. 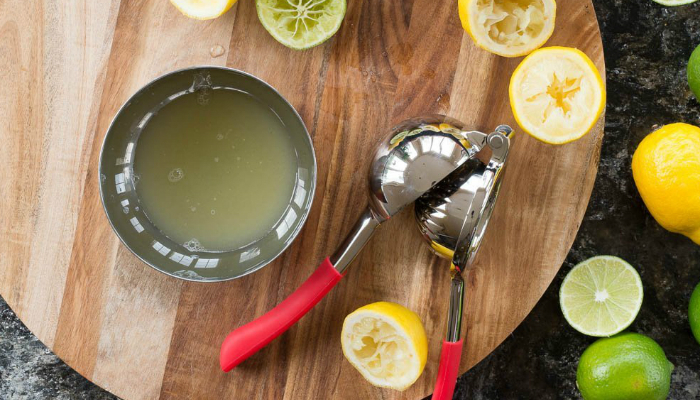 Obviously, dishwasher-safe citrus juicers are the easiest to clean. However, if you prefer cleaning it by hand, choose juicers that have smooth metallic surfaces for easy rinsing and wiping in just a matter of seconds. 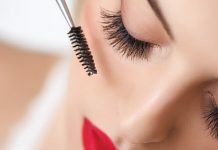 Plastic ones are useful as well, but they should be resistant to odor and color. More importantly, they must be BPA-free. We selected Bellemain Top Rated Premium Quality Stainless Steel Lemon Squeezer as the best citrus juicer for most people. Even though it is a manual type, it is unbelievably easy to use, saving your hands from unnecessary strain. It also has a high-quality stainless steel material that is very durable and easy to clean. If you prefer searching for more products, remember to consider the type, unit and container size, pulp setting, and easy cleaning features to ensure only the best citrus juicer for your kitchen needs. Who says that juice only comes from fruits? Find out how to make juicy meat by learning how to cook ribeye steak and choose the best roasting pans. For additional knowledge when it comes to health, learn six foods nutritionists will never eat.